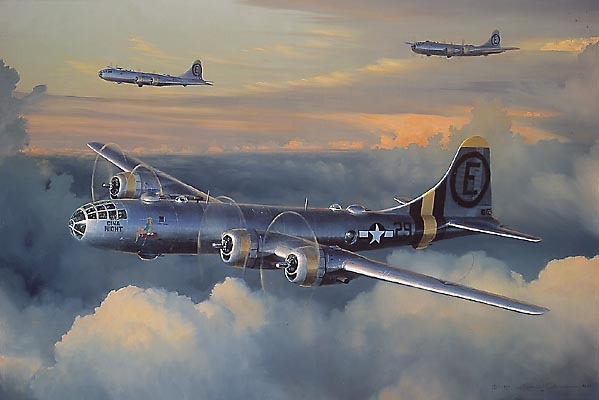 Image Size: 32" x 21-1/8"
It is the last year of the war, and one of Colonel Glen W. Martin's fleet of B-29s, punnily named "Dina Might," surges over the clouds during its mission to bomb the industrial cities of Japan. But this is more than just the remembrance of a vital war effort. "This is not a portrayal of a particular mission" says Phillips, "but is rather a portrait, basically an homage to the Superfortress."